Horsham’s Holbrook Club was transformed into a buzzing rock venue on Saturday 23rd April with appearances from The Stuart James Band and headliner, ex-Gillan guitarist, Bernie Tormé. Local trio, The Stuart James Band, opened proceedings with their brand of classic blues rock. With some well-chosen covers as well as original material they will have delighted existing fans and almost certainly gained some new ones on Saturday. From one power trio to the next, punters didn’t have to wait long until Bernie Tormé and his band, Chris Heilmann (bass) and Ian Harris (drums), took to the stage. Dublin-born Bernie Tormé first came to prominence in the late 70s/early 80s as the guitarist with the heavy rock outfit, Gillan. His distinctive riffing was as much an intrinsic part of that band’s sound as Ian Gillan’s famous vocals. 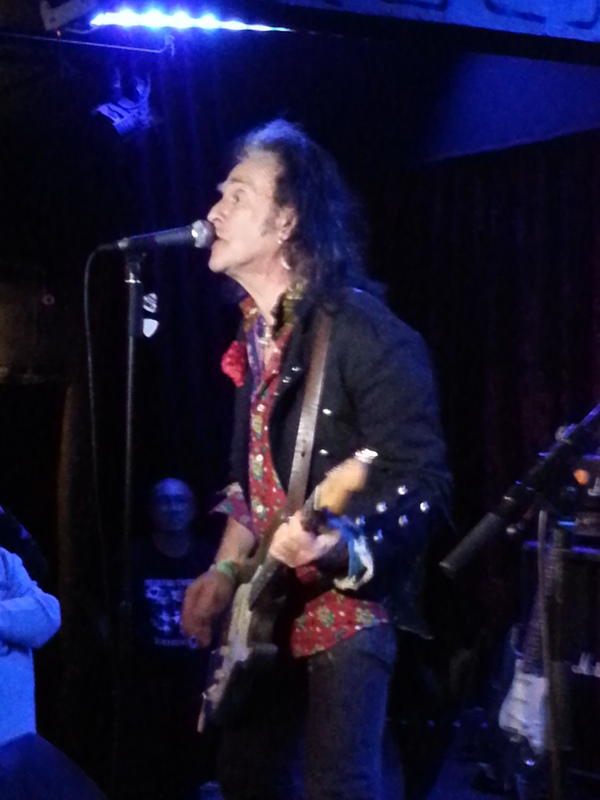 And it’s all still very much on display for those watching Bernie Tormé and his band on Saturday. Fuzzed-up glam-punk, squealing Hendrix-style feedback and guitar wizardry galore, combined with great songs that span an illustrious recording career, Bernie and his band truly rocked the Holbrook Club. Material from his post-Gillan solo career such as the storming Wild West, which kicked of proceedings, is combined with newer material from his two recent solo albums. The two albums Flowers & Dirt and Blackheart have proved to be something of renaissance for Bernie Tormé with excellent reviews and renewed interest from fans around the world. Songs from both albums are well received. There’s still room for a bit of nostalgia though and the main set ends with those two early rock n roll classics that were given a new lease of life by Gillan back in the early 80s: Trouble and New Orleans. The band are called back on stage for an encore and end the evening with an incendiary version of another Gillan classic: No Easy Way. 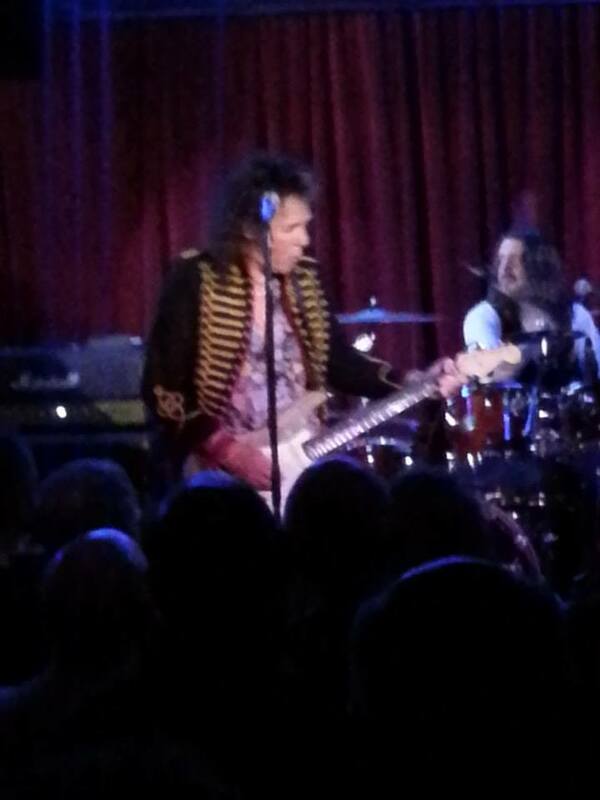 Bernie Tormé is still rocking hard! For those looking for fuzzed-up glam-punk, squealing Hendrix-style feedback and guitar wizardry then Bernie Tormé is clearly the one to look to. In fact, if this is what you are looking for then Bernie Tormé is probably the only one to look to. Part punk, part hippy, Dublin-born Tormé, first came to prominence in the late 70s/early 80s as the guitarist with Gillan. His distinctive riffing was as much an intrinsic part of that band’s sound as Ian Gillan’s instantly recognizable vocals. There has been something of a slight interlude since I last caught up with Tormé, however. In fact, the last time I saw him was not long after he left Gillan and was busy promoting his then new solo album, Electric Gypsies. Nicely balanced between old and new material, the crowd were given a great set tonight covering various stages of Torme’s career. For me, Lightning Strikes and Turn Out the Lights were both very welcome inclusions from the earlier days. The main set ended with those two early rock n roll classics that were both given a new lease of life by Tormé’s former band Gillan, back in the early 80s: Trouble and New Orleans. As the band are called back on stage for an encore and perform two more covers, Bony Moronie and Jimi Hendrix’s Fire, I did begin wondering why I’d left it quite so long before catching up with this unique performer once more. But it was certainly worth the thirty-year wait.